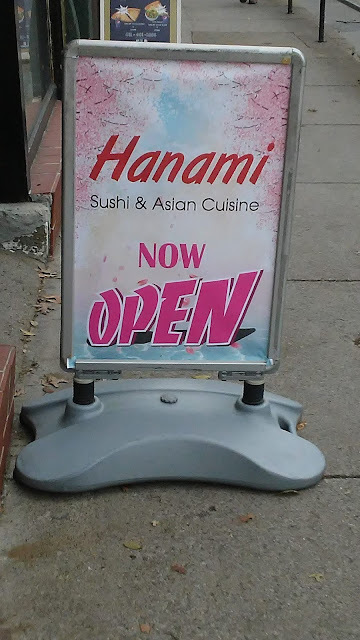 PennsylvAsia: Hanami now open in Oakland but questions about sanitation remain. Hanami now open in Oakland but questions about sanitation remain. A rebranded Thai Hana, named Hanami, is now open at 3608 Forbes Ave. in Oakland (map). It promises sushi, pho, and Asian cuisine. Thai Hana closed earlier this month after numerous health violations; according to tabulations by WESA FM it had the seventh-most health violations in Allegheny County since 2012, in spite of only opening in 2013. Hanami underwent its initial inspection on November 5 and recorded 10 violations, including some pertaining to sanitation, pest management, and contamination prevention.